2016 Show Theme: "Vermont Minerals, Fossils, and Gems"
"The History, Geology, and Minerals of the Quarries of Belvidere Mountain, Vermont"
"The Mines and Minerals of the Greenwood (Maine) Pegmatites"
"The Maine Mineral & Gem Museum: A New Mineral Museum!" 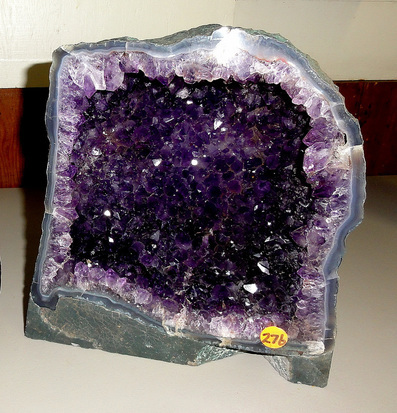 This amethyst geode will be raffled off at this year's Show. Tickets will be available for purchase at the Show.